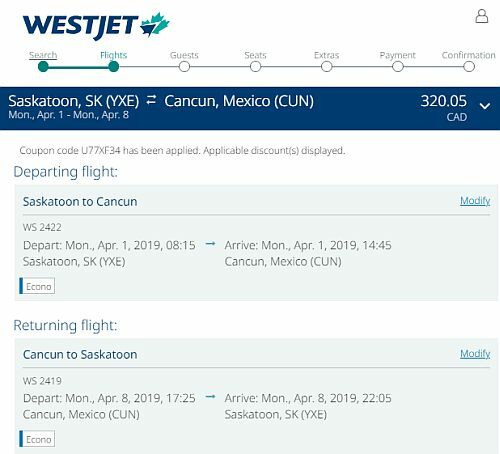 WestJet has dropped the price of their April flights from Saskatoon to Cancun, Mexico down to $365 CAD roundtrip including taxes. Dates around Easter week are available. Apr 1 to Apr 8 -- new! 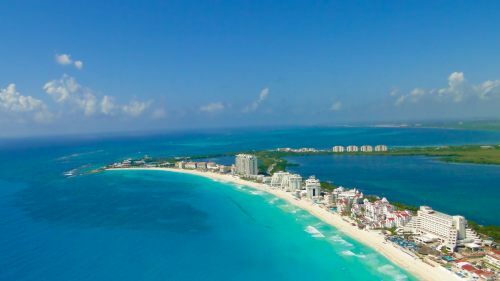 Air Canada Vacations has dropped their June 18-25 flight from Saskatoon to Cancun, Mexico down to $295 roundtrip after tax. That's about 55% cheaper than the next cheapest flight at any time. 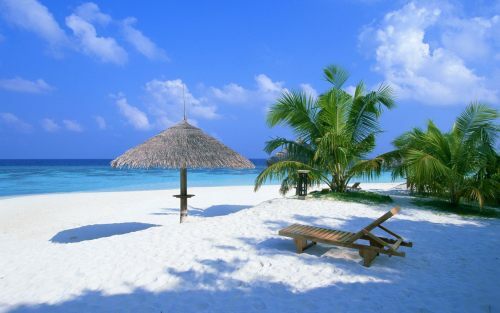 Last Minute Flight: Saskatoon to Cancun - $197 roundtrip after tax - but no taxes? There's apparently a last minute flight from Saskatoon to Cancun, Mexico for $197 roundtrip after tax on WestJet. November 21-28.